At this restaurant on the beach you can have your seafood cooked any way you like but most people ask for the fish to be cooked on the barbecue. You select your fish from the vast fresh seafood tanks and 30 minutes later, you have a perfectly cooked dish in front of you. Goi cuon, or summer rolls, are one of the most popular finger foods. Originating in the south, they are a popular street food but will often appear at a family meal in summer. Rolled at the table, they are a great communal experience. 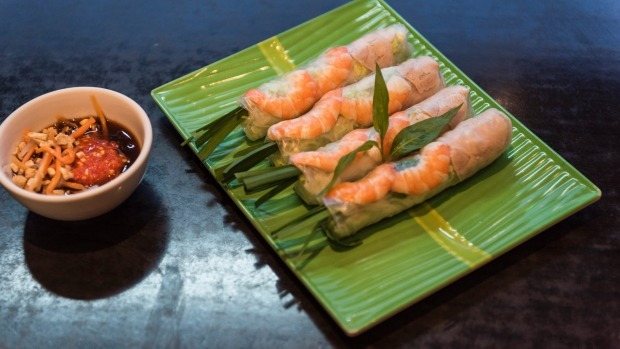 The soft rice paper is filled with juicy lightly steamed prawns, tender pork, thin rice noodles and herbs. Aromatic spiced pork belly with sticky rice is a celebratory food served in central Vietnam during the Tet (lunar new year) holiday as historically, any kind of meat is seen as a rich person's food and a big treat. You could always tell a family's social status from the size of the pig they cooked for Tet. (Mussels in aromatic Hoi An spices.) Traditionally, these freshwater mussels come from Hoi An's nearby estuary and are cooked with Hoi An's famous local mix of spices and herbs. (In Melbourne, we use mussels from Port Phillip Bay). This seasonal treat is a favourite dish among men in central Vietnam to accompany beer or as a light meal or a snack. Ba Nga is my favourite aunty. From the bamboo basket on her bicycle she sells the best duck embryos with dipping sauce and Vietnamese mint. Locals line up. It's a Vietnamese delicacy and still one of the main protein supplements in many Vietnamese households. 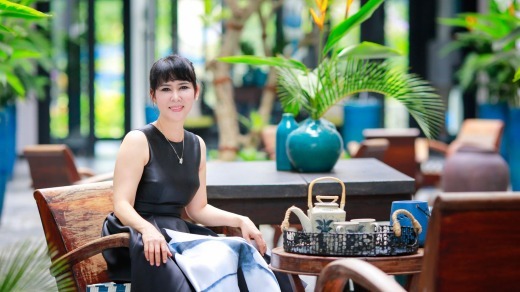 In Hoi An, there is a place called Bun Bo Cafe. It's in the alley off Phan Chu Trinh Street and my favourite afternoon snack is their signature dish called bun bo, a spicy broth with rice noodles and beef. Another favourite is the Hoi An Cho cafe at the Market Soi Bap. My most ordered local breakfast is Xoi bap, served on a banana leaf. It's corn with glutinous rice topped with roasted nuts, sesame seeds and shallots.